Service animals are known for their loyalty and ability to service people with all types of disabilities. The people they help become attached and dependent on these services and the dog often becomes a member of the family. Unfortunately, as is true with humans, these animals get older and start to experience health issues of their own. Kindred-Canines In Motion is a non-profit organization created by Dr. Joyce Gerardi DVM CVA to bring regenerative therapies to service/assistance animals. 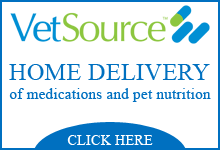 “These dogs have special needs and I offer mobile care and use innovative newer technologies such as stem cell and Platelet-Rich Plasma (PRP) that a typical veterinarian doesn’t offer,” said Dr. Gerardi. One client of Dr. Gerardi’s is Betty Shifflett of Brandon, who is a 72-year-old grandmother with custody of her 22-year old grandson, Gregory, who was pronounced brain dead except for the brain stem after a near drowning at the age of 13 months in the family pool and now requires 24 hour care. Russell, a labordoodle that was given to Gregory as a service animal, taught himself to warn Betty if something is not right with Gregory. Gregory has medical equipment which will alarm if food is finished, a pulse oximeter will alarm if his oxygen saturation falls below a certain point and an apnea monitor which will sound if he stops breathing or his heart rate goes too high or too low. Russell will bark furiously if one of Gregory’s alarms sound and no one responds quick enough. Russell is now in need of his own care after requiring surgery on one leg and now with the other hurting. Kindred-Canines In Motion wants to bring its care to Russell and other service animals like him at reduced or no charge to the client, but the organization is reliant on donations from the public to make that happen. To donate to this cause or find out how to volunteer, visit kindred-caninesinmotion.org or call 919-618-0809. 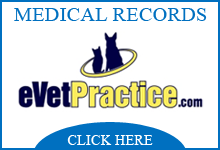 These services are also available to any pet suffering from a degenerative arthritic condition. Call for more information on how to schedule an appointment with Kindred-Canines In Motion. “I want to bring awareness to the technology I’m offering which is mobile arthritis therapy,” said Dr. Gerardi.